The term “forensic,” in a general sense, can refer to the application of scientific knowledge to legal issues. Forensic science then covers the group of scientific disciplines that are concerned with the application of their particular area of expertise to law-enforcement, criminal, civil, legal, and judicial matters. Four important areas underpin every aspect of forensic science. 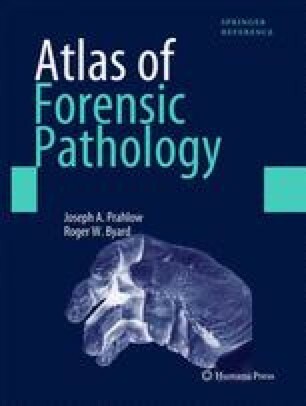 American Academy of Forensic Sciences. http://www.aafs.org. American Board of Criminalistics. http://www.criminalistics.com. American Board of Forensic Anthropology, Inc. www.csuchico.edu/anth/ABFA/. American Board of Forensic Entomology. www.research.missouri.edu/entomology/. American Board of Forensic Odontology. www.abfo.org. American Board of Forensic Toxicology. www.abft.org. American Board of Psychiatry and Neurology, Inc. www.abpn.com. American Society of Crime Laboratory Directors. www.ascld.org. Forensic Specialties Accreditation Board. http://www.thefsab.org. International Association for Identification. http://www.theiai.org/certifications/index.php. International Institute of Forensic Engineering Sciences, Inc. http://www.iifes.org. Sapir GL. Qualifying the expert witness: a practical voir dire. Forensic Mag. Feb/Mar, 2007. http://www.forensicmag.com/aricles.asp?pid=132.